Calling all Bakers on October 28th! Secret celebrity panel to judge all homemade pies on the basis of overall presentation, tastiness and the name of your pie. 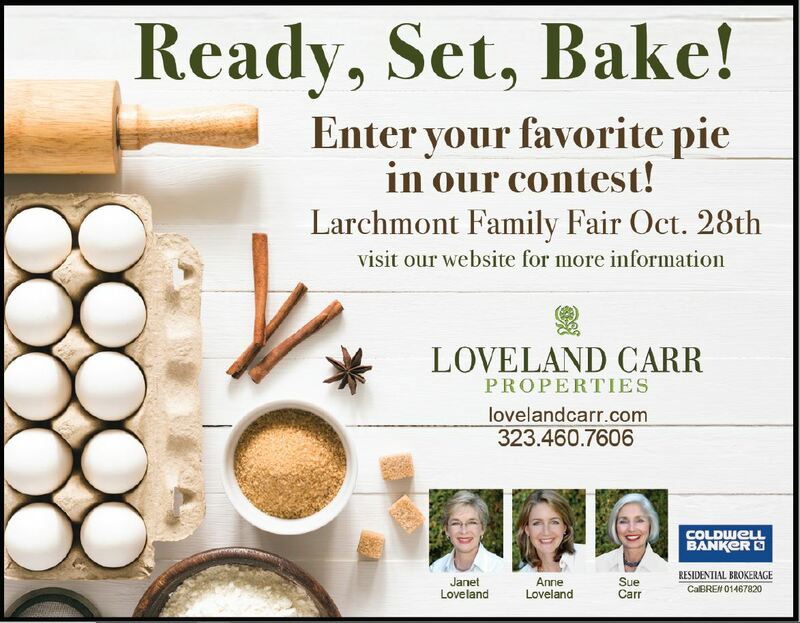 Pies to be delivered to “Loveland Carr Properties” at “Coldwell Banker”, 251 N Larchmont Blvd, Los Angeles by 12:30pm the day of the Fair. Winners will be announced around 2pm – before “Larchmont’s Got Talent” and after the children’s costume contest.